Not long after I joined the board of the Quebec Community Groups Network, there was a lively discussion on a new tagline for our Network. After months of deliberations, we came to a simple two-word phrase that speaks volumes: Working Together. Working strategically and cooperatively for the benefit of our organizations and communities is what we have all done for the past year and what we will continue to do as we endeavour to ensure the development and vitality of our communities and our cornerstone institutions. Last Friday and Saturday more than 100 of our members and stakeholders from across many sectors and many regions of Quebec gathered for the 23rd annual meeting of the Quebec Community Groups Network in Montreal where I had the distinct pleasure of being acclaimed QCGN’s eighth president. I want to thank outgoing President James Shea for his two years at the helm. We accomplished a great deal under his leadership and our Network and community owe him a debt of gratitude. I also want to thank departing directors Walter Duszara, our board secretary who aptly led our Priority Setting Steering Committee for four years, and Juan Carlos Quintana, for their years of hard work and dedication to QCGN and the community. The next few years will be pivotal for our Network and Community of Communities. There will be challenges, but we will work together with our steadfast board of directions, our committed members, and our community stakeholders to transform them into opportunities. At last year’s convention we received word that Premier Philippe Couillard was taking the historic step of recognizing our community by establishing a Secretariat responsible for relations with English-speaking Quebec. He later decided to appoint Kathleen Weil as the first-ever Minister Responsible for Relations with English-speaking Quebecers. Weil and D’Arcy McGee MNA David Birnbaum, who were on hand for our annual meeting along with Assistant Secretary William Floch, congratulated the QCGN on its perseverance in demanding a structure within government responsible for the needs and priorities of English-speaking Quebecers. Over the past year QCGN and our members were key players in helping the Secretariat and Minister embark on an ambitious strategy to support our community. Our interventions, including a first-ever consultation with the Minister of Finance Carlos Leitao, led to direct benefits to the tune of $24.5 million over the next six years to support community institutions and work to keep young English-speaking Quebecers at home in their province. One of the spinoffs of our work with the province was Minister Weil issuing a large-scale call for applications for positions in the Quebec public service. The recruitment drive sought professionals in a variety of fields, across all administrative regions of Quebec. QCGN worked with the Secretariat and involved members and close community stakeholders to ensure that large numbers of qualified English-speaking Quebecers were made aware of the program. We hope our campaign will encourage people to consider careers in the civil service and ultimately increase the current dismal level of English-speaking Quebecers working for the provincial civil service. Assurances that the Secretariat, which is so essential to our community, survives and is fully enshrined in law is among the priorities of our Network and Community as we head into a provincial election this fall. QCGN and its members have begun working on a comprehensive provincial election strategy discussing what pledges we want to see from all of our political parties. Stay tuned! Over the past two years, the QCGN led a community effort that saw record numbers of English-speaking Quebecers participate in the federal government’s consultation to build a new federal official languages strategy. We followed up on that work with an aggressive and effective government affairs strategy that significantly raised our profile. This, and the help of a supportive Minister of Canadian Heritage, led to significant gains for English-speaking Quebec in the Government of Canada’s Action Plan for Official Languages – 2018-2023: Investing in Our Future. The plan aims to boost funding to official language minority organizations by $57.37 million and to create a fund of $5.3 million for Quebec’s English-speaking communities. The QCGN will work strategically and cooperatively with our members and stakeholders to ensure our community obtains the maximum benefit from these new funds. This will be the work of the Priority Setting Steering Committee (PSSC) of the QCGN Board, which is currently being renewed under the leadership of QCGN Vice-President Gerald Cutting of Townshippers’ Association. We will keep you posted on the committee and the consultation process in the coming weeks. 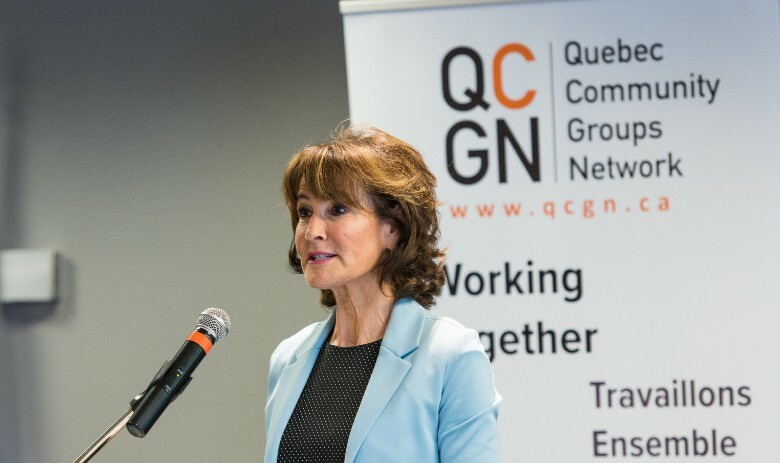 Together, with support from the PSSC, the QCGN will ensure English-speaking minority communities in Quebec get the maximum benefit from the federal Action Plan – most especially the $5 million that has been earmarked for English-speaking Quebec. Also on hand for our annual meeting were official language allies Raymond Théberge, Canada’s new Commissioner of Official Languages, and Jean Johnson, President of the Fédération des communautés francophones et acadiennes (FCFA). We are pleased to note that our relationship with official language partners is blossoming as we work together on a variety of files including the modernization of the Official Languages Act, which turns 50 next year. Recently, the QCGN appeared before the Senate Standing Committee on Official Languages to present our community’s views on modernizing the Act. (Read our press release and our brief.) We will continue to work with the Commissioner, whose office is consulting with communities to recommend improvements to the Act, to ensure English-speaking Quebec’s voice and our unique challenges are fully considered as the federal government moves to modernize the Official Languages Act. During his lunchtime speech, we were pleased to hear Commissioner Théberge pledge to defend Canada’s official language minority communities with equal fervor. A week earlier, the Commissioner released his 2017-2018 Annual Report. The QCGN applauded the Commissioner’s priorities work to ensure that official languages and linguistic duality continue to be a fundamentally Canadian value and a national priority. Read our press release. What is a Positive Measure? The Office of the Commissioner of Official Languages (OCOL), which intervened in the case, announced Thursday it will be appealing the decision. See OCOL’s press release. 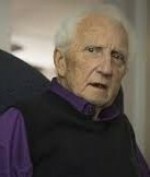 On May 23, the Federal Court issued a judgement that should serve as a call to action for the federal government to clarify the meaning of “positive measures” that must be taken by federal institutions under Part VII of the Official Languages Act (on the Promotion of English and French), to enhance the vitality of Official Language Minority Communities (OLMC). The Fédération des francophones de la Colombie-Britannique (FFCB) claimed the language rights of the French-speaking community are not being respected by British Columbia’s employment program which is funded by the federal government. In 2008, the Conservative government transferred responsibility for providing employment assistance services and programs to the provinces, while continuing to contribute financially. The result of the transfer was the loss of French services in five employment assistance centres in Kelowna, Penticton, Prince George and Vancouver. The court ruled that since the federal government has not adopted regulations that clarify what constitutes a “positive measure,” the government remains under a general obligation to take action. This is important for Official Language Minority Communities since it sets a low bar for federal institutions. As long as a federal institution takes an action that provides some form of benefit, it can be considered to have taken a “positive measure.” There is no minimum threshold. The court sympathized with the fact that this decision will have the effect of significantly limiting the benefits and protections communities receive under this part of the Official Languages Act. The court concludes its judgement by saying that it is not its place to create rules that clarify what “positive measures” are. Instead it is up to the executive branch of the federal government to provide regulations that make this clear. This is certainly an argument for modernizing the Official Languages Act. For a more detailed breakdown of the decision, click here. During the annual meeting last week, the incredible work being done by some of our committees and projects was highlighted. Eric Maldoff, chair of the Health and Social Services Committee reported the QCGN and the Community Health and Social Services Network (CHSSN) were mandated by the Health Minister to call for and recommend candidates from our community for appointment to the new Provincial committee on the dispensing of health and social services in the English language. Better known as the Provincial Access Committee, it has the vital role of assisting in the approval, oversight and evaluation of how our health and social services are delivered to English-speaking Quebecers in their own language. Maldoff noted this represents an extraordinary occasion for community members to make a real and lasting difference to improve access to crucial services for our English-speaking communities and build a substantially more solid foundation for our long-term vitality across Quebec. Read our recent press release. Funded by Justice Canada, QCGN’s Access to Justice in English in Quebec project is developing deeper knowledge of how Quebec’s justice system works. The project is collaborating with multiple experts, community, and justice system stakeholders to develop initiatives that will make a difference for English-speaking Quebecers. 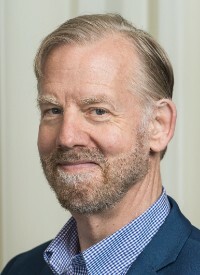 Steering committee member Matt Aranson reported the project is building on the success of our April 2018 “No Justice Without Access” Community Forum where participants set starting points to improve access to justice in English in three targeted areas: Seniors and the elderly; Youth in need of protection or interacting with the criminal justice system, and; People seeking justice from administrative entities. Funded by the Government of Canada’s Social Development Partnerships Program – Children and Families Component, and managed by the QCGN, the Community Innovation Fund has invested more than $1 million over three years in 10 innovative projects that address the needs and priorities of vulnerable English-speaking youth, seniors and newcomers. The ten projects are building partnerships to increase funds that are injected into our communities. Among them are Dare Every Soul to Achieve (DESTA) and Phelps Helps, who are profiled later in this newsletter. During our jam-packed event, Association for Canadian Studies executive vice-president Jack Jedwab was on hand to discuss the results of a Léger Marketing poll commissioned by ACS and the QCGN entitled Bonjour Hi: What French and English Quebecers think about each other and about key issues. The survey on the mutual perceptions of English- and French-speaking Quebec shows there are more and more contacts between the two linguistic groups — nearly 70 per cent of respondents rated the relations between the two language groups as “positive” or “very positive.” However, there are still many myths and areas of misunderstanding on key issues, such as the protection of language and respect for the rights of the minority. Read different takes on the poll results in The Gazette, in Le Devoir and on CTV Montreal. 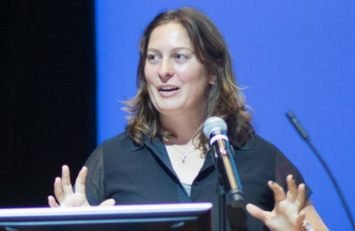 You can also view Jedwab’s interview with CTV’s Tarah Schwartz. All of our annual meeting presentations, as well as the 2017-2018 Annual Report of the QCGN, are available on the QCGN website. Read our post-AGM press release. See more photos in the library of the QCGN website. Quebec’s English-speaking community continues to press for a more inclusive history curriculum in the wake of a recent memo from the Ministry of Education announcing that the secondary three History of Quebec and Canada textbooks distributed to schools in the fall of 2016 were revised and will be reissued in the fall. Quebec’s controversial two-year history course, first introduced in 2016, raised the ire of Quebec’s English-speaking community, Indigenous leaders, and other minority communities for its nationalistic tone and content that virtually ignores and devalues the role of non-francophones in Quebec history. Despite weighty contributions since the 1700s, the English-speaking community of Quebec is barely mentioned. The Committee for the Enhancement of the Curriculum of History of Quebec (ComECH-Quebec), an ad hoc committee created by the English Parents’ Committee Association (EPCA), the Quebec Anglophone Heritage Network (QAHN), the Quebec Federation of Home and School Associations (QFHSA), the Quebec Association of Geography Teachers (QAGT), explains the goal is to include more content on the country’s Indigenous peoples. 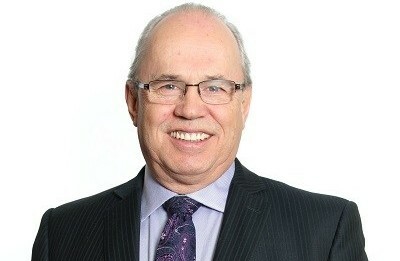 ComECH-Quebec chair Robert Green noted that while members were pleased to see the Ministry address the concerns of the Indigenous community, they had hoped that the entire curriculum program would be revised and that more calls for action from the Truth and Reconciliation Report, such as an assistant deputy minister dedicated to Indigenous content in education, would be met. And while there will be more content dedicated to First Nations people, ComECH also said it would like to see the positive contributions of minority communities to Quebec society better reflected in the curriculum. Read the article by the Canadian Press as well as coverage by CBC Montreal and Global Montreal. The QCGN family was deeply saddened to learn of the passing of Kevin Tierney and Earl De La Perralle, two community stalwarts and laureates of QCGN’s Sheila and Victor Goldbloom Community Distinguished Community Service Award. De La Perralle, who passed away this week, was honoured by the QCGN for his lifelong dedication to Sun Youth and its community sports programs. De La Perralle worked quietly behind the scenes, promoting amateur sports as a means of keeping kids out of trouble and off the streets. 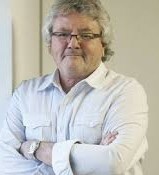 Tierney, a filmmaker who passed away in May, was recognized for his unique way of building bridges between English- and French-speaking Quebecers. Bon Cop Bad Cop, which he co-wrote and produced, is perhaps the Canadian film that most successfully transcended the language divide. Tierney also made volunteering an integral part of his life, offering his time and wisdom to the film community and acting as a mentor for emerging filmmakers. Read QCGN’s Community Award features on Tierney as well as De La Perralle and his co-winner Sid Stevens and view their video tributes here (Global Montreal) and here (CTV Montreal). Read more about Tierney’s remarkable life and career in The Montreal Gazette, on CBC Montreal and CTV Montreal. 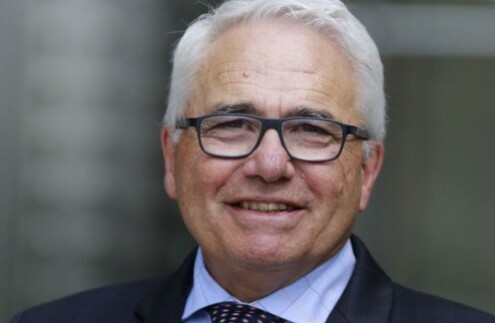 Read more about De La Perralle and his contribution in The Montreal Gazette and on the websites of CBC Montreal and on CTV Montreal. The QCGN offices will be closed next Monday, June 25 for the St-Jean Baptiste holidayand on Monday, July 2 for Canada Day. Throughout the summer, we will be keeping members and stakeholders updated on a variety of issues, including the Priority Setting Steering Committee consultation on community priorities for spending under the Action Plan as well as our strategy to prepare for the provincial election campaign that begins officially in August. Wishing you a safe and relaxing summer. During the annual general meeting, members bid a fond farewell to President James Shea, who stepped down after six years, two of them at the helm, as well as longtime board members Secretary Walter Duszara and Director Juan-Carlos Quintana. Geoffrey Chambers, who was nominated by Seniors Action Quebec, was acclaimed along with new vice-president Gerald Cutting, nominated by Townshippers’ Association; and Secretary Eva Ludvig, who was nominated by the Quebec Association of Independent Schools(QAIS). Also acclaimed were new board members Chad Bean from the Eastern Townships, who was nominated by Phelps Helps; Maureen Kiely from Montreal, who was nominated by Contactivity Centre; Sharleen Sullivan, Executive Director of Neighbours Regional Association of Rouyn-Noranda, who was nominated by the Council of Anglophone Magdalen Islanders (CAMI); as well as Christopher Neal from Montreal who was nominated by the Association of English-language Publishers of Quebec (AELAQ). Not up for re-election and returning to the board are Treasurer Joe Rabinovitch and Directors Mary-Ellen Beaulieu, Stella Briand-Kennedy, Dr. Clarence Bayne, Linton Garner, Eric Maldoff, and Elise Moser. For English-speaking Quebecers building careers or going to school, getting advice, training or tutoring services close to where they live or work can be invaluable. A helping hand at the right time and in the right place can make all the difference when young entrepreneurs cope with challenges or students strive to upgrade their academic or business skills. Two groups offering such services are DESTA Black Youth Network and Phelps Helps. DESTA works with mostly English-speaking Blacks in and around Montreal’s Little Burgundy neighbourhood. 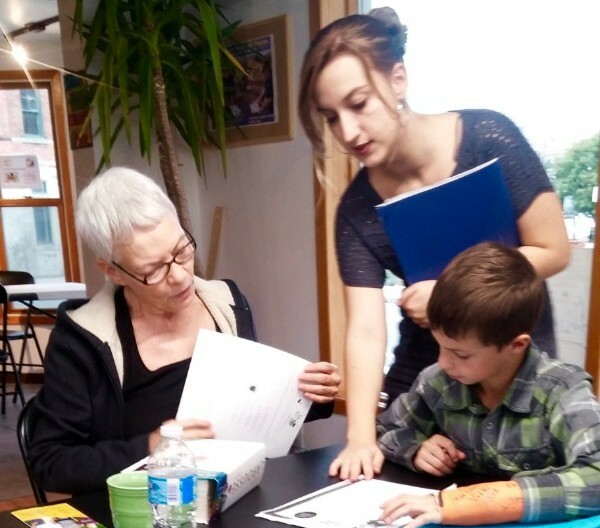 In Stanstead, 68 kilometers southwest of Sherbrooke, Phelp Helps provides tutoring to improve French language proficiency and offers training and advice. They are among 10 groups in Quebec sharing in a $1 million Community Innovation Fund, provided by the federal government’s Social Partnership Development Program, and managed by the Quebec Community Groups Network. Projects were selected for being both innovative and sustainable. DESTA’s acronym stands for Dare Every Soul to Achieve and through their CIF grant, DESTA has been able to implement both an entrepreneurship and an employability program. A partnership was developed with the John Molson School of Business’s community service initiative, whereby MBA students facilitate a 12-week intensive entrepreneurship program on how to start a business. A first cohort completed the program and a second is underway. The group meets two to three times a week for three hours in the evening. In addition to the entrepreneurship program, DESTA offers workshops for business owners covering topics such as marketing, social media, finance and accounting. For those who are seeking employment and encountering challenges, DESTA developed an individualized training program, leveraging the workshops created for the entrepreneurship stream so that more members of the community could participate. On employability, DESTA offers skill-building programs that are flexible and tailored to the individual. It offers help in upgrading French-language skills, improving literacy, coping with socialization challenges, writing CVs and cover letters. It also helps those with criminal records seeking employment. Imaan Browne, 33, who has operated the Pureluckx clothing brand for six years, came to DESTA to develop a plan to grow his business. He needed advice on improving his income and cash-flow statements, and whether to buy or lease manufacturing equipment and factory space. Completing the John Molson course, and with help from lawyers and accountants, Browne says he has a firmer grip on his business and how it can grow. Exciting plans are underway to create a ‘work hub’ on the DESTA premises. As many new small business owners do not have the means to rent office space and hire necessary staff, DESTA will provide them with printing facilities, office and conference room space, and marketing support. “Our goal is to remove obstacles faced by our community members and to provide the tools necessary for them to succeed, for their success is our community’s success,” noted Zehavi. Phelps Helps also has the goal of providing the youth of its community with the tools needed to succeed. Founded in 2012 by Catherine Van der Lindenand Jeanie Markwick to combat the unacceptably high drop-out rates in the Stanstead area of Quebec, Phelps Helps is a true grassroots organization that gets its name from its original location on Phelps Street where it opened its doors in 2012 to offer tutoring to local youth. “There was a major problem with dropouts in the region we cover. About 38 per cent of students were leaving school without obtaining a high school diploma,” said executive director Katie Lowry. “There is always someone here to answer my questions. I like that!” said one 15-year-old participant. Through its activities Phelps Helps discovered two unmet needs: French language skills to graduate high school as well as post-secondary support. The funds from the Community Innovation Fund are being put to work in these areas. An after-school program offering French tutoring in an immersive French-language milieu has attracted more than 50 students who are coached by 10 tutors on a regular basis. While the program was set up for less than half that number of students, Phelps Helps has been able to meet the extraordinary demand. “The key to the success of the program has been that the students set their own goals, and we are there to help them achieve them,” said Lowry. Through the years that Phelps Helps has been helping Stanstead area youth to graduate from high school they have found that many graduates are finding it difficult to take the next step. The youths have little to no job experience and are unaware of job opportunities in their region. Those continuing their education are overwhelmed by the options and application processes. Many of their parents did not complete high school and therefore have no experience with student bursaries or post-secondary applications. Enter a new graduate support program. Through the use of round table and employment panels, along with one-on-one support and a 5 à 7 with 15 local business owners, graduates are becoming better equipped to meet their future. To date, more than 55 students have participated in various aspects of the program. This is the second in a series of articles about projects that were funded under the Community Innovation Fund. For further information about the CIF please contact Christine Boyle at 514-868-9044, ext. 257. 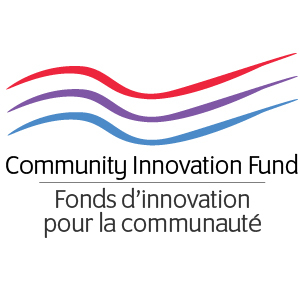 The Community Innovation Fund (CIF), through its grants to community organizations, is creating social initiatives aimed at improving employability or securing basic socioeconomic security for vulnerable youth, seniors/caregivers and newcomers in Quebec’s English-language communities. The CIF has partnered with Thinkr, a consulting initiative of second year McGill University MBA students which offers offer 100 per cent free business consulting services to organizations that need help, but cannot afford it. Focusing mainly on not-for-profit organizations, they also consider projects with start-ups and social enterprises. Recently Thinkr teamed up with the Council for Anglophone Magdalen Islanders(CAMI), a CIF recipient. CAMI currently operates Grandma’s Bakery, and has recently started manufacturing and selling pickled vegetables, fruit jams and jellies as well as lobster paste. Experiencing a season that surpassed expectations, CAMI decided to create an independent social enterprise to run the business. Thinkr stepped in during this winter and developed a comprehensive business plan to get them started. For more information on Thinkr, please visit their website. Driven by volunteers and community action, Literacy Quebecaims to provide universal access to literacy services across the province and empower individuals with a sense of belonging, ownership and trust in their communities. Literacy Quebec is a network that connects and represents community-based literacy organizations to empower people, impact lives and build a stronger society. Literacy is multi-faceted and can affect all aspects of a person’s life from applying for a new job, to reading to their children, to writing an email. Thus, Literacy Quebec treats literacy assistance with a holistic approach engaging with family, community, and workplace literacy while maintaining focus on the learner’s needs. Literacy Quebec currently represents 13 community-based literacy organizations across the province that serve English-speaking families and individuals. As societal needs are evolving, it is adapting our network accordingly. All in all, people with low literacy skills have faced many hurdles and challenges in their lives. Low literacy skills could prevent one from performing fundamental tasks such as paying a bill, homework help, or filling out a form for a vital flu shot. Literacy Quebec strives to provide learners with a safety net to overcome these challenges. Each learner is matched with a volunteer tutor who is recruited and trained by one of our member organizations. Together, the learner and their tutor work one-on-one to foster a comfortable, non-judgemental environment where the learner feels free to pursue their learning goals. Most often, people characterize finding the literacy centre as “a sigh of relief” — a place where they feel supported and a place that helps them open up to the world around them. Maintaining this feeling is one of Literacy Quebec’s top priorities. For more on Literacy Quebec, visit their website. The Quebec Federation of Home and School Associations (QFHSA) held its 74th annual general meeting at the Novotel Hotel in St Laurent on April 28. Delegates were welcomed by outgoing president Brian Rock, and then turned their attention to keynote speaker William Floch who offered an update on the recent activities of the Secretariat Responsible for Relations with English-Speaking Quebecers. Floch reported that the Secretariat heard from more than 65 community groups and stakeholders in the English communities of Quebec during a series of consultation townhalls and roundtable discussions. Areas of concern demonstrated by the community included youth retention in the regions and Montreal, access to government employment services and programs, and access to health and social services, better access to French Second Language training and better support for English-speaking Quebecers living in poverty. The Federation offered its assistance in bringing the concerns of the Home and School membership across the province to the Secretariat’s attention. New directors were elected to the board along with new 2018-2020 president Linton Garner who had served as executive vice-president from 2016-2018. Garner, who is the executive director of the Regional Association of West Quebecers and a director on the board of the Quebec Community Groups Network, was ready to step into Rock’s shoes. His first duties as president were to present three of the major QFHSA awards at the banquet later that evening. Receiving the 2018 Gordon Paterson Award was Steve Dubinsky, music teacher at Westwood High school. The Pat Lewis Environmental Award was presented to the wonderful Willingdon Elementary School community and the Pat Lewis Humanitarian Award was presented to Rhiannon Sparkes, an educator at Dorset Elementary school. In 2019, Home and School will be celebrating the support of parental involvement in education in Quebec for 100 years and the federation will be celebrating 75 years of activity. For more information on the Quebec Federation of Home and School Associations, visit their website at www.qfhsa.org. The Quebec Community Groups Network is welcoming nominations for its Community Awards that were established to honour individuals who contribute to strengthening the English-speaking community and to building bridges between Quebecers of different backgrounds. The July 31 deadline for the The Sheila and Victor Goldbloom Community Service Award is fast approaching. Candidates for the award must have demonstrated leadership and commitment as a volunteer or as a professional in their chosen field of endeavour. Their contributions can be in any and all regions of Quebec, and in any field from business to academia; from youth to seniors; from health and social services to arts and culture; and any other area such as heritage, the environment, and sports. The guiding principle is that these individuals have provided strong and effective leadership and succeeded in improving the quality life of English-speaking Quebecers and the broader society. Click here for details on how to nominate someone. In 2015, the QCGN joined with the newly created Fondation Notre Home Foundation and CBC Quebec to create a new award to recognize and celebrate young English-speaking Quebecers engaged in initiatives that create positive change in our communities. The main objective of our Young Quebecers Leading the Way Award is to celebrate the leadership and innovative thinking of engaged English-speaking Quebecers aged 30 and under. The deadline for nominations is August 31, 2018. Click here for details on how to nominate someone. Recipients of QCGN’s Community Leadership Awards will be invited to receive their awards at a community recognition ceremony on Nov. 1. Full details to come, but please save the date. 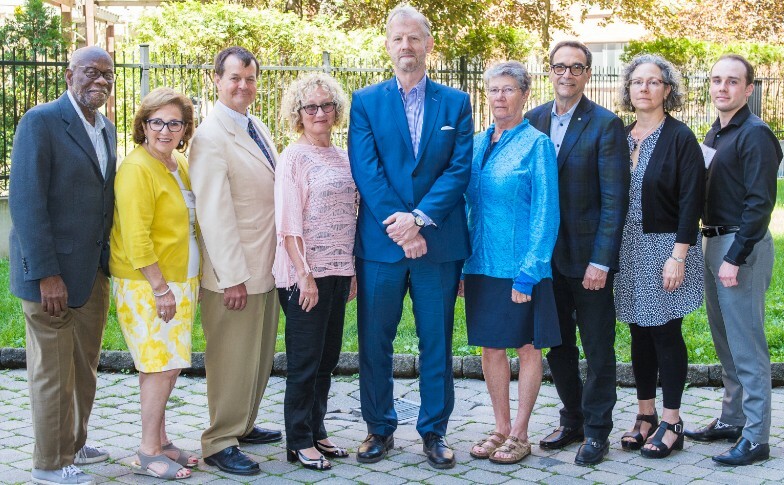 On June 1, key partners of Quebec City’s Wellness Centre got together to discuss shared objectives and a common vision as to how to best meet the health and social services needs of the local English-speaking community. In attendance were personnel from Jeffery Hale Community Partners, from Jeffery Hale – Saint Brigid’s (especially its community services sector) and the Community Health and Social Services Network (CHSSN), as well as from Voice of English-speaking Québec. In addition, Kathleen Weil, the minister responsible for relations with English-speaking Quebecers, and Gregory Kelley, a political advisor with the recently established provincial secretariat for relations with the English-speaking community, dropped by to talk to the group about their daily realities and concerns about the future. In the afternoon, staff had the chance to take part in a fun rally to discover more about the English-speaking community they serve, which, of course, included a couple of questions highlighting our beloved Quebec Chronicle-Telegraph. Reprinted with permission from The Quebec Chronicle Telegraph. Thank you for reading our regular newsletter.  For up-to-date news about the Quebec Community Groups Network you can visit our website at www.qcgn.ca or follow us on Facebook and/or Twitter.